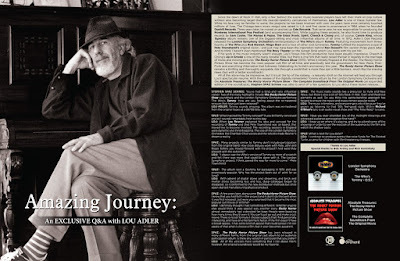 Discussions Magazine Music Blog: LOU ADLER: An EXCLUSIVE Q&A with the music industry legend! LOU ADLER: An EXCLUSIVE Q&A with the music industry legend! Since the dawn of Rock ‘n’ Roll, only a few ‘behind the scenes’ music business players have left their mark on pop culture without also becoming larger-than-life pseudo-celebrity caricatures of themselves. Lou Adler is one of these humble few. While his face may be familiar to some, the projects he has been involved with over the years have most certainly touched millions of lives. The Chicago-born music mogul was raised in L.A. and first came to prominence in 1964 when he founded Dunhill Records. Three years later, he moved on and set up Ode Records. That same year, he was responsible for producing the Monterey International Pop Festival (and accompanying film). While juggling these projects, he also found time to produce records by Sam Cooke, The Mamas & Papas, The Grass Roots, Spirit, Cheech & Chong and, of course, Carole King, whose Tapestry album remains one of the biggest-selling and most influential albums of all time. 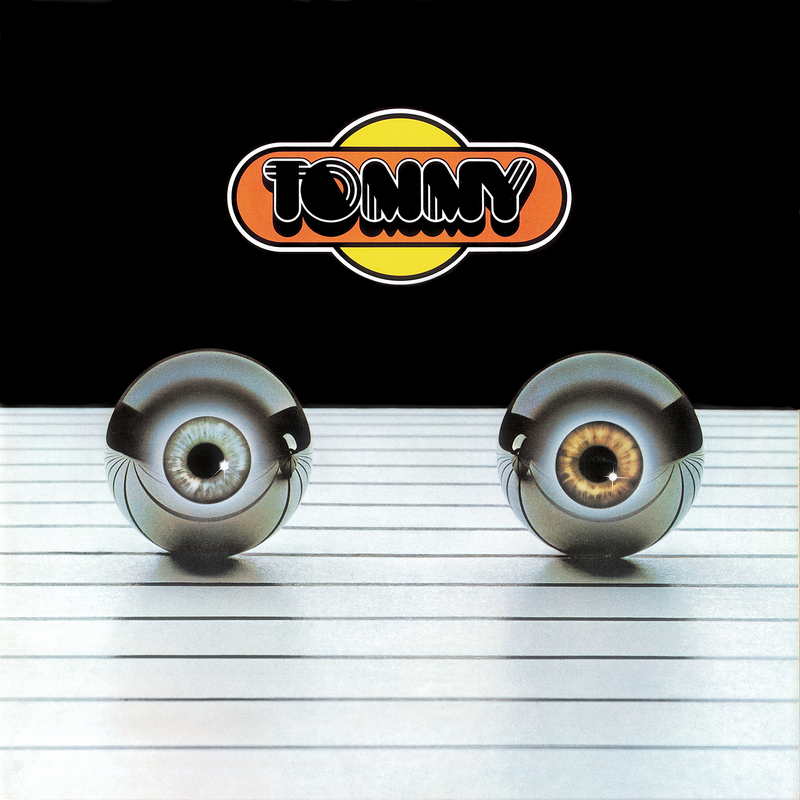 In 1972, Adler’s Ode Records released the London Symphony Orchestra’s reinterpretation of The Who’s album Tommy. 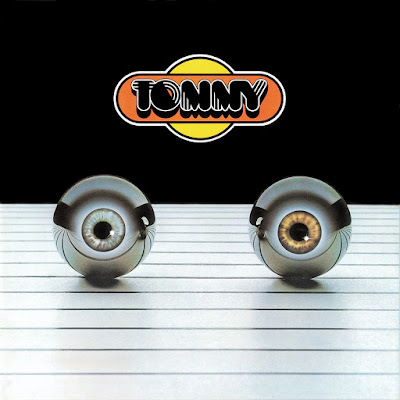 Featuring involvement from three-fourths of The Who plus Rod Stewart, Ringo Starr and a host of other rock luminaries, Tommy fulfilled the expansive scope of Pete Townshend’s original vision - and just may have been the inspiration behind Ken Russell’s film version three years later. And to think I haven’t even mentioned The Roxy Theater on the Sunset Strip which Lou owns with his son Nic. If his work in the music industry wasn’t enough, Lou’s forays into film production have been equally impressive. Cheech & Chong’s Up In Smoke is one of the many notable titles, but there is one film that really raised the bar in regards to the marriage of music and moving pictures: The Rocky Horror Picture Show (1975). While it initially flopped at the theater, The Rocky Horror Picture Show has become the most popular cult film of all time, and practically laid the groundwork for New Wave, Post-Punk and everything Alternative that followed. Celebrating its fortieth anniversary this year, The Rocky Horror Picture Show remains a thrilling and thoroughly enjoyable ride through a world that is more than just a little bonkers…much like the evening news (but with a better soundtrack). STEPHEN SPAZ SCHNEE: You’ve had a long and very influential career. 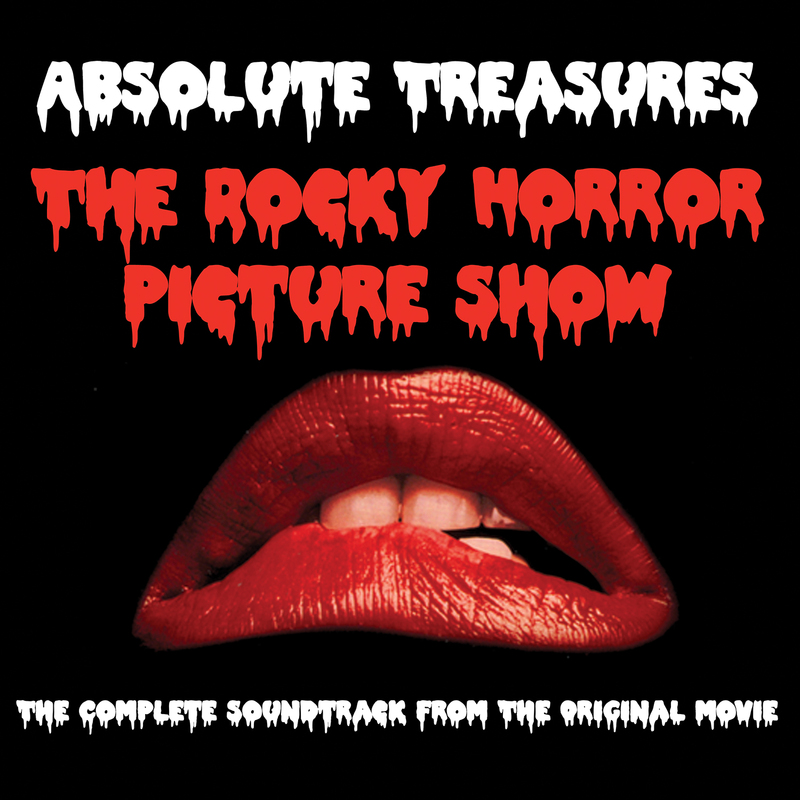 Two of the many highlights include The Rocky Horror Picture Show soundtrack and the London Symphony Orchestra performing The Who’s Tommy. How are you feeling about the re-mastered reissues that have just been released? LOU ADLER: Tommy sounds amazing. The album was re-mastered from the original tapes at a 24/192-bite rate. SPAZ: What inspired the Tommy concept? It was brilliantly conceived and still sounds remarkably fresh to this day. LOU: When Lou Reizner explained his idea and concept for the recording of Tommy and that Pete Townshend was on board, that moved me to become involved. The recording sessions in England were dynamic and mind-boggling. The size of the London Symphony Orchestra, the Chamber Choir voices and the soloists made Reizner’s dream a reality. SPAZ: Many projects similar to Tommy don’t include participation from the original band. How close did you work with Pete, John and Roger before you moved forward with the project? And were they pleased with the outcome? SPAZ: The album won a Grammy for packaging in 1974 and was enormously popular. Why has the project been out of print for so long? LOU: With advent of digital stores and streaming, and brick and mortar stores becoming less and less, deep catalogue began to disappear, so I conformed to the new distribution methods but once again started manufacturing physical product. SPAZ: A few years later, along came The Rocky Horror Picture Show. I know that you had faith in the project and it didn’t do that well when it was first released…but were you surprised that it became the most popular cult movie of all time? LOU: I definitely thought I had something different. Whether anyone else would think it was special was another story. Rocky Horror almost immediately had a devoted fan base. People were boasting how many times they’d seen it. You can’t just go out and make a cult movie. There is no set formula. I choose subjects that I find personally interesting, and have an entertainment factor. If the film doesn’t have a broad appeal, it has some kind of appeal that could spread. I’m not aware of that when I choose a film, but it soon becomes apparent. 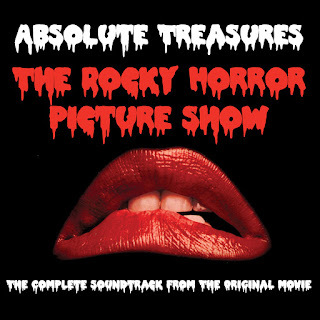 SPAZ: The Rocky Horror Picture Show has been released in many different forms, from the original cast album to an audience participation album. Is there any version in particular that you prefer? LOU: All of the versions have something that I like about them; however, the original soundtrack would be my favorite. SPAZ: The music really sounds like a precursor to Punk and New Wave, but there’s also a lot of ‘50s Rock ‘n’ Roll, Glam and theatrical elements as well. Do you think this genre-bending approach has helped to ensure the movie and music remain popular today? LOU: The music is timeless, and everyone gets into it because they’ve grown up listening to that ‘50s feel-good style. Within Richard O’Brien’s lyric is an audio-visual show and “The Time Warp” is iconic. SPAZ: Have you ever attended any of the midnight showings and witnessed audience participation first hand? LOU: I keep up on where it’s playing, and try to attend some of the showings in order to see the reaction of the audience to the film and watch the shadow casts. SPAZ: What is next for Lou Adler? LOU: I continue to produce events that raise funds for The Painted Turtle, a camp for children with life-threatening illnesses.